Personal failures, revenge cited as factors in massacre in Binghamton, N.Y. 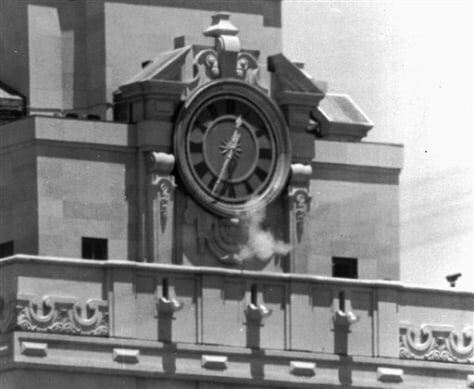 Smoke rises from a sniper's gun as he fires from the tower of the University of Texas administration building in Austin on Aug. 1, 1966. Police identified the killer of at least 16 persons as Charles J. Whitman, 24, a student at the university. As long as there have been repeating firearms, there have been mass killings.